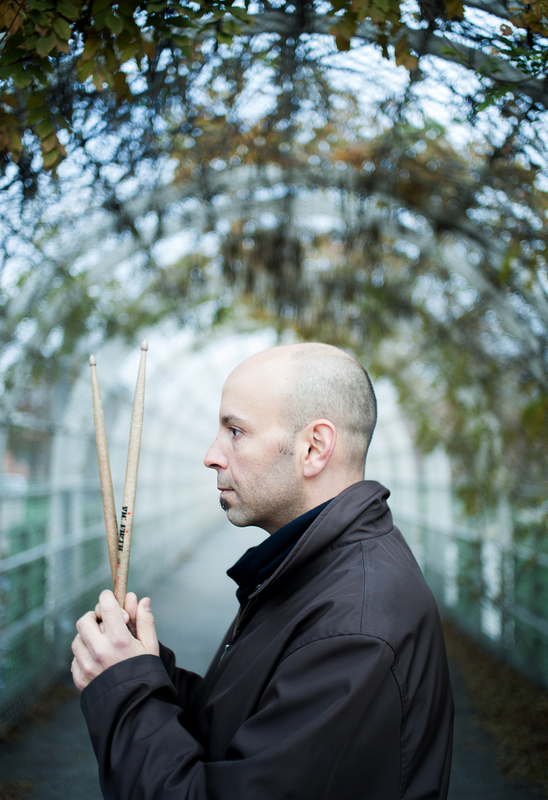 “A prime mover in the current Brooklyn jazz scene” (Time Out-New York) and "one of New York’s great jazz drummers and composers.” (Capital New York), Rob Garcia continues to be an strong presence in the New York and international jazz scene as a sideman and bandleader. He has performed and/or recorded with bandleaders such as Wynton Marsalis, Joseph Jarman, Anat Cohen, Sam Newsome, Judi Silvano, Woody Allen, Howard Alden, Lynne Arriale, Brad Shepik, John Benitez, John Bunch, Dena DeRose, Chris Cheek, Daniel Kelly, and Vince Giordano. Rob has also collaborated with other top musicians such as: Joe Lovano, Dave Liebman, Diana Krall, Myra Melford, Dave Binney, Ben Monder, Donny McCaslin, Marty Erhlich, Mark Helias, Jerome Richardson, Reggie Workman, Bob Berg, Dave Kikoski, Mike Formanek, Bill McHenry, Gary Versace, Loren Stillman, John Hebert, Ken Peplowski, Scott Robinson, Howard Johnson, Sonny Fortune, Bruce Barth, Wycliffe Gordon, Warren Vache, Ted Nash, and Chris Potter, among others. He has played on over 40 albums including grammy winners. Rob has released 4 critically acclaimed albums as a bandleader. The most recent two are by his working group, the Rob Garcia 4, on Brooklyn Jazz Underground Records. His CD, “Perennial” (BJUR 012) was in the “10 Best Jazz Albums of 2009” in the New York Observer. His group has performed at venues such as The Ottawa Jazz Festival, Iridium, Kitano, Smalls, The Rex, Cornelia Street Cafe and Firehouse 12. Rob has also received grants from Meet The Composer, DCA and NYSCA to support his performances. Artist-run organizations are a new and successful trend in the jazz world, and Rob has been a major force in this new way for jazz to continue and thrive. He is the founder and executive director of an artist-run, non-profit organization called Connection Works, which presents world-class jazz performances and educational events to the Brooklyn community. He is a member of the Brooklyn Jazz Underground, an association of independent artists with a shared commitment to creativity and community. He was also a founding member of the Douglass Street Music Collective, an artist-run rehearsal and performance space, featuring some of New York’s most creative and cutting edge musicians/composers. September 2011 Brooklyn Jazz Underground Records released the latest creative tour-de-force from the inspired drummer /composer /bandleader, The Drop and The Ocean, the follow up to Rob Garcia’s previous, critically-acclaimed recording on BJURecords, Perennial. The Drop and the Ocean features Garcia’s working band, including two young sensations and regulars in the group for the past three years, Noah Preminger (saxophones) and Dan Tepfer (piano), as well as the future bass legend and long time friend, John Hebert. The album is titled after the Sufi concept, which deals with the human experience as an individual (the drop), and the path to surrendering to something bigger (the ocean). Garcia explains further, “I was very inspired by this concept when a friend first brought it to me. She explained how we can try to hold so tightly to our individuality when we can let go and become the ocean.” The twelve Garcia compositions on this recording are musical contemplations and ruminations on this concept. The CD opens with the rhythmic whirlwind, “Will”, referring to the will of the individual, followed by “Boundaries”, which is about listening to what your higher-self is telling you in those challenging moments and acting upon it”, explains Garcia. Throughout The Drop and the Ocean, Garcia includes three drum improvisations as interludes, “Flash #1, #2, and 3#” which reflect on how short and precious our time here is. Other highlights on the recording include the gorgeous ballad, “Lost By Morning” (which is about getting caught up with shoulds and shouldn’ts); “The Drop Part 2”, dedicated to the fun of being human; “River”, the path a drop travels to the ocean; “Humility”, which Garcia says is “about being a parent and those times when I have no idea what to do”; and “The Return”, “returning to our true selves, a process and an event that can happen countless times in our lives,” explains Garcia. 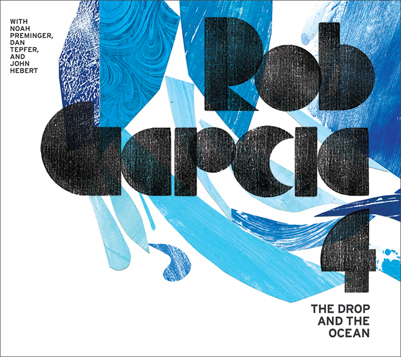 Clearly the release of The Drop and the Ocean is one such event for Rob Garcia, as he utilizes his compositional, drumming and band-leading skills to their full extent to share with us a set of beautiful and compelling music based on a concept that is personally inspirational. On his third recording as a leader (following Place of Resonance – Consolidated Artists and Heart's Fire – Connection Works Records), drummer/composer (and sometimes pianist) Rob Garcia delivers nine compelling originals and a modern version of Ray Noble’s “Cherokee” (in thirteen! ), that he has been hearing in his head for about ten years. Perennial “pertains to cycles of nature, which we reflect in being human and being an artist”, explains Garcia. “Many of the song titles are named after things that grow and things found in nature”, however they were chosen much in the same way he chose his first-rate sidemen, and the notes and arrangements of his compositions – simply because they sound good to his ear. Garcia is very much a musician confident in his intuition and highly attuned instinct, as evident in his powerfully engaging drum solos on the CD, and the fact that much of the music on Perennial was composed in a stream of consciousness way. Garcia, who majored in psychology at NYU, and has studied yoga, meditation, holistic healing and spirituality, describes his creative aim and music's healing power, "music can go beyond the intellect and touch people on a very deep level,” Rob explains, "I strive to integrate all the aspects of my being into everything I do." Naturally the music on Perennial is informed by the journey and exploration he has embarked on in these areas. The opener “Joe-Pye Weed” (a wild flower) uses a progression of pentatonics, giving it a country feel and “Seasons of Stone” reflects on the deep untouched elements of the human psyche. The title track is a cyclical tune that was written by “just getting my mind out of the way and letting things come”, explains Garcia. “A Flower For Diana”, and the entire recording, is dedicated to Garcia’s late mother. Perennial was born and raised in Brooklyn. The recording is a superb addition to the ever growing Brooklyn jazz canon and a new valuable piece of the multi-faceted soundtrack to this vibrant scene. It features Dan Tepfer (piano), Noah Preminger (tenor saxophone), Chris Lightcap (bass), Rob Garcia (drums, & piano on track 10).